The Modern Workplace: Trade Secrets Lawsuits Keep Trending Up: Are You Minding the Store? Trade Secrets Lawsuits Keep Trending Up: Are You Minding the Store? Lawsuits involving claims for misappropriation of trade secrets are continuing to trend upward, even in an era when litigation as a whole is believed to have decreased. At a time when companies’ most sensitive confidential and proprietary business information is becoming ever more digitalized – and thus easily transportable – all employers should maintain vigilance in protecting their crucial business information. Not surprisingly, a significant amount of trade secret litigation involves situations where former employees accessed company information before their departures, copied it and later used that information to compete against the former employer. Some observers have attributed the continued upward trend in trade secret lawsuits to the enactment, in mid-2016, of the first federal statute directly addressing the misappropriation of trade secrets (the Defend Trade Secrets Act). 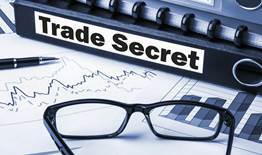 The federal trade secrets law is, however, greatly duplicative of pre-existing trade secret laws enacted by almost all states, which are mostly modeled on the Uniform Trade Secrets Act (“UTSA”). Minnesota, for example, has had its version of the UTSA for more than 30 years. Nevertheless, it is likely that at least some of the uptick in trade secret lawsuits is due to the creation of the federal law. Perhaps an even greater contributor has been continuing technological advancements, which make it easier to upload or copy voluminous computer files in rapid fashion. Another significant development regarding trade secrets misappropriation claims is an apparent increased focus on such unlawful acts by prosecutors, resulting in more frequent criminal proceedings against persons who have misappropriated a company’s trade secrets. Update employee handbooks to include detailed confidentiality policies tailored to address your company’s confidential information. Have employees sign stand-alone confidentiality agreements. Consider updating old stand-alone confidentiality agreements to include language that is legally required to take advantage of certain rights and remedies in the federal trade secrets law. Limit access to your company’s computer system and to the company’s most sensitive business information. Prohibit or significantly restrict use by employees of cloud-based file storage programs or websites, such as Dropbox or Google Docs. Use exit interviews with all departing employees to remind them of confidentiality obligations and to also retrieve all confidential information and company devices. Act promptly upon learning that a former employee may have taken confidential or trade secret information.